Owners of Pizza Villa, a Portland institution since 1965, announced Wednesday that they've reached an asset purchase agreement with Maine Medical Center. The hospital, currently in the middle of a $512 million construction project, plans to take over management of the restaurant in 2019. PORTLAND, Maine — Maine Medical Center will purchase an iconic Portland pizza place that’s marked the Congress Street approach to downtown for a half century. 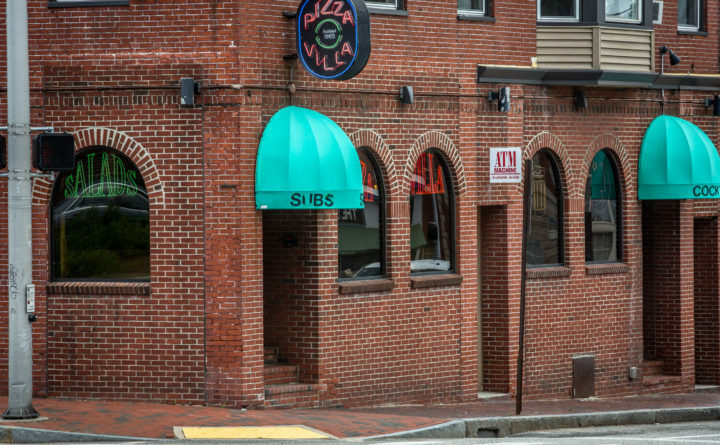 The owners of Pizza Villa, known for its single-size pies and low-key neighborhood bar, have agreed to sell their building and business to the hospital for an undisclosed sum of money. Maine Medical Center does not have “immediate plans” to change the property and is working with the owners to find someone to continue operating the restaurant, according to Matt Wickenheiser, a hospital spokesman. The sale is set to close in March 2019 and was announced Wednesday, as the hospital is preparing for the second stage of its half-billion-dollar renovation and expansion plan. Pizza Villa is one of several buildings within a regulatory zone around the hospital that is meant to preserve neighborhood amenities, such as street-level shops and restaurants. “If they redevelop the site, they would need to replace the first floor with a similar type of use,” Tuck O’Brien, the city planning director, said of the hospital and Pizza Villa. Maine Medical Center is working on the first phase of its $512 million expansion, which will add new operating rooms and convert patient rooms to single-occupancy but not increase the overall number of hospital beds. In June, the hospital sent the city planning board its site plan for the second phase of the expansion. If it’s approved, the hospital plans to break ground on the construction of a 2,450-space garage on St. John Street in the fall. Until 2015, Phil and Tony Regios ran Pizza Villa with their third brother, Andrew, who reportedly died of a blood disorder in that year. In a statement, the pair said that the sale will let them plan for their retirement.